Come along with me as I investigate and photograph this long-abandoned one-room schoolhouse in the woods of the American deep South. There’s not much story to tell, just an amazing location and wonderful woodgrain textures — perfect for black and white photography. 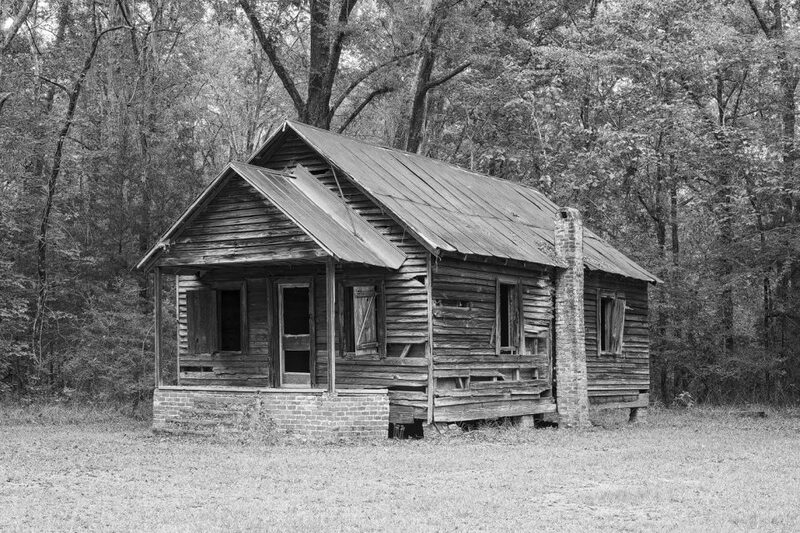 Abandoned wooden schoolhouse, black and white photograph by Keith Dotson. Click the photo to buy a fine art print. 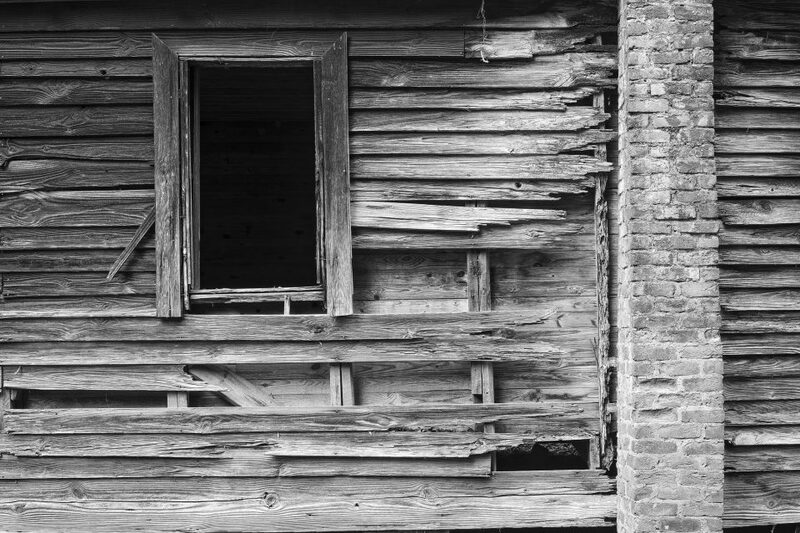 Weathered Ruins of an Abandoned Building: Black and White Photograph by Keith Dotson. Click the image to buy a fine art print.